37425 Allerton N/DEC ok 23-31/03 2D. 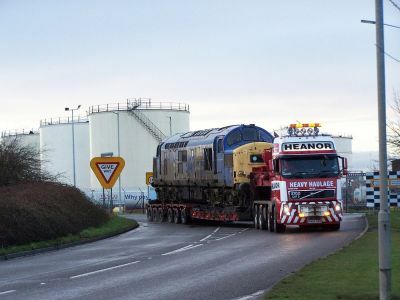 37219 is to move from the Chasewater Railway to a new home at the Chinnor & Princes Risborough Railway where the locos owner already has 37116 based. 37425 Allerton N/DEC ok 12-12/12 0D. 37425 Allerton N/DEC ok 12-12/12 1D. With Bachmann having relaunched its much improved Class 37 model last year, RAIL EXPRESS magazine has joined with the Barwell-based firm to exclusively produce three of the ex-split headcode versions of the type (TOPS Class 37/5), plus a contemporary centre headcode loco from the same sub-class. The four 'OO' gauge Class 37/5s will be sold in limited quantities and take the form of two 'Special Edition' made-to-order twin packs. These new models will fill a prominent gap in the market for refurbished freight Class 37s, which was last occupied many years ago by the now unavailable and long obsolete Lima product. The first will represent Thornaby's 'joined at the buffers' pairing of British Steel blue No. 37501 Teesside Steelmaster and Railfreight red-stripe No. 37502 British Steel Teesside. The former will wear the last version of the unique livery, without the blue solebar stripe, and proudly displaying its colourful Thornaby 'Kingfisher' depot logo. Our second release covers Direct Rail Services favourites No. 37510 and Carlisle depot 'flagship' loco No. 37688 Kingmoor TMD, covering both headcode types. New flush-fronted nose and roof tooling has been based on RAIL EXPRESS research, while the rest of the models will make full use of cantrail and nose grille variations allowing modellers to use these as a base for modelling other locomotives. These will be the only such models produced this year. The tooling will be exclusive to RE products for the foreseeable future, Bachmann having had no plans to introduce this version of the Class 37 to its range. RE is also working closely with the company on top of this significant investment to introduce several important upgrades to the model and other major improvements are also being reviewed prior to release this summer/autumn. Prices are £149.99 for each pack (Bachmann's 2008 recommended retail price) and are offered with FREE POST & PACKING above other incentives, with an additional discount if both packs are purchased. Other linked 'not to be missed' special offers include reduce rate subscriptions and a discounted SWD sound chip option - all in, saving you well over £40! 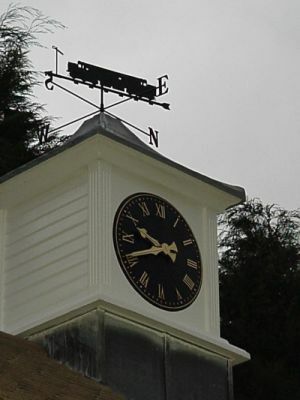 A weather vane of 37263 on my stable roof.